Barcelona city in Spain, Catalonia landmarks, sculptures and architecture, photo, how to get to Barcelona and tour of facilities according to plan trips ..
Spain. 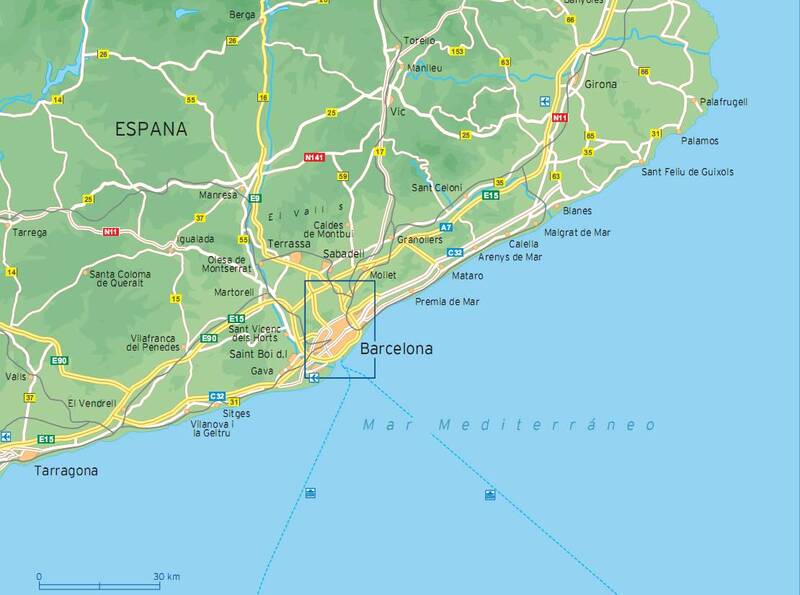 Barcelona is the second largest city in Spain. Barcelona has more than 1.6 million. 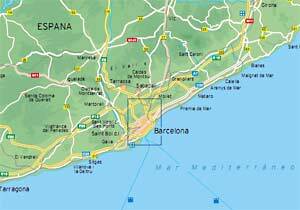 Inhabitants and is the second largest and most important city in Spain, capital of the province of Catalonia. The base currency is the euro, 1 euro = 100 cents. The work week runs from Monday to Friday from 09.30-13.30 and 16.30-20.00, with some variations. Shops on Saturdays in the ordinary days, and to work on Sunday afternoon, but the daily work can be anything, including the clock. Shopping centers and most of the larger stores are open even during the siesta (afternoon nap). Barcelona in recent decades evolved from a conventional port city into one of the best not only in Europe but also in the world. Wonderful city located facing the sea, which is becoming more glamorous, thanks to its classic and modern architecture, art galleries and theaters, and not least of all the museums that are among the best in the world. Barcelona is a dynamic metropolis. Barcelona - it's just great! Places that you should not in any case to miss when visiting the city. Here are the top 10 places. Cathedral. The Picasso Museum, the Palace of Catalan Music. Museum of the History of Barcelona - Muhba. Church of Santa Maria del Mar. Boqueria Market. Guell Palace. Museum of Contemporary Art Macba. Royal Shipyards. Museum of the History of Catalonia.